Leigh Centurions have signed France international and former Castleford Tigers second-row Kevin Larroyer on a two-year deal. The 28-year-old was part of the squad at Castleford that won the League Leaders' Shield last season. "Kevin has done a lot in his career and has enjoyed some outstanding moments," Leigh head coach Neil Jukes said. Leigh have also signed Catalans forward Jordan Dezaria, 20, and France winger Ilias Bergal, 21. 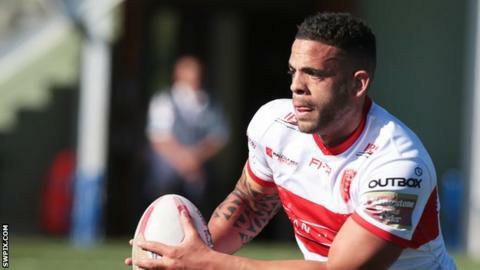 Dezaria made four Super League appearances for the Dragons last season, while former Catalans back Bergal scored five tries in six games on loan at Championship side Swinton.